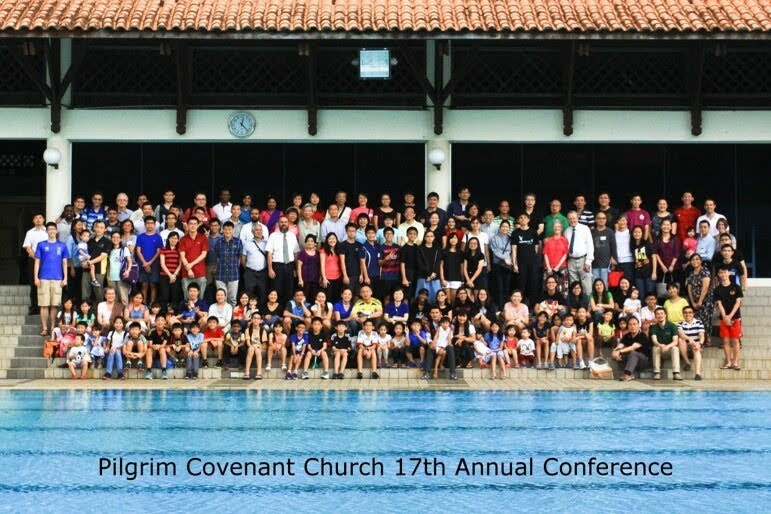 Pilgrim Covenant Church (PCC) is a Reformed Presbyterian Church founded on 4 July 1999 in Singapore. Though we desire by the mercies of God, to grow eventually into a Presbyterian fellowship of congregations, we are at the moment a small congregation of about 35 families and numerous individuals covenanted to serve and worship the Lord together as a branch of the body of Christ. On a typical Lord's Day (Sunday) about 150 souls (comprising members and their children and visitors) would gather to worship the Lord. As a church we do believe, uphold and practice the truth of the Holy Scriptures which is expressed in the Westminster Confessional Standards as agreed upon by the Westminster Assembly of divines on 4 Dec 1646 and originally adopted by the General Assembly of the Church of Scotland on Aug 27, 1647. We warmly welcome you to join us in our Sabbath Worship Services and to search the Scriptures with us to understand why we live and worship the way we do. If, by the grace of God, you are convicted of the biblical way of life and worship which we believe is taught in God's Word, then we would humbly invite you to join us to serve the Lord together that we may glorify and enjoy Him together. Our address : Blk 203B (Tower B) #07-07 Henderson Road, Singapore 159546. Our morning and evening worship services start at 9.30 am and 5.30 pm respectively. Prayer Meeting is held on every Friday night at 8.00 pm and will include a short exposition of God's Word. All worshipers are kindly requested to be seated at least 5 minutes before time for prayerful preparation. Parents with very young children are requested to sit at the back rows. We would also encourage you to stay back after the services for fellowship with us over lunch (morning) and light refreshment (evening).